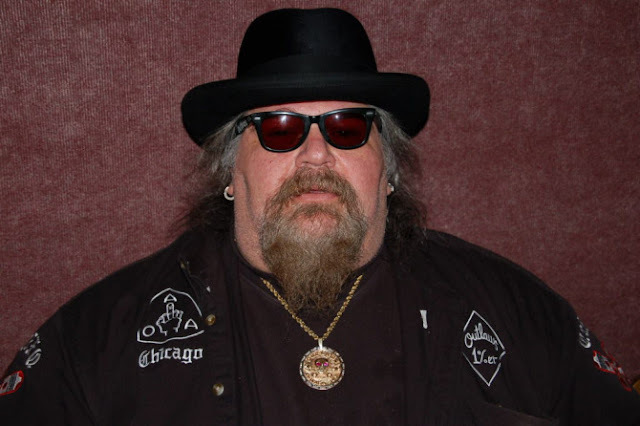 DENVER, CO ( November 22, 2016) —Three leaders of the Bandidos motorcycle club face prison time after pleading guilty to selling methamphetamine and loaded firearms to other states, the Colorado Attorney General’s Office said Tuesday. Philip Duran, 42, aka “Bandido Fee”; Michael Mensen, 46, aka “Bandido Tick”; and Lorenzo Sojo, 41, pleaded guilty to violating the Colorado Organized Crime Control Act — Pattern of Racketeering and felony drug charges, the attorney general’s office said in a news release. 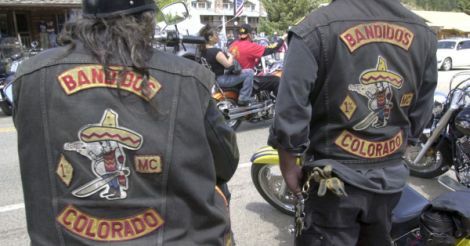 Sojo, president of the Bandidos Denver Westside Chapter, was sentenced to 20 years in the Colorado Department of Corrections. 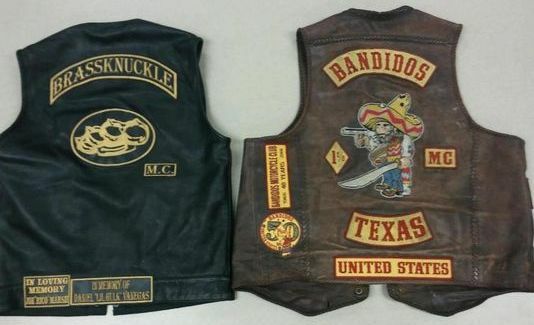 Mensen, a Bandidos national sergeant at arms, was sentenced to 24 years in prison, according to the news release. Duran, who also served as a national sergeant at arms, cut his ankle bracelet and fled just before his sentencing hearing. 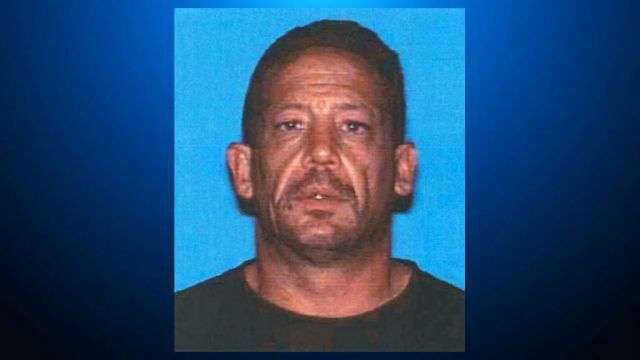 He is considered armed and dangerous, the attorney general said. A warrant has been issued for Duran’s arrest, and Crime Stoppers is offering a $2,000 reward. Police say he should be considered armed and dangerous. It’s unclear exactly how Duran managed to escape custody at the courthouse. 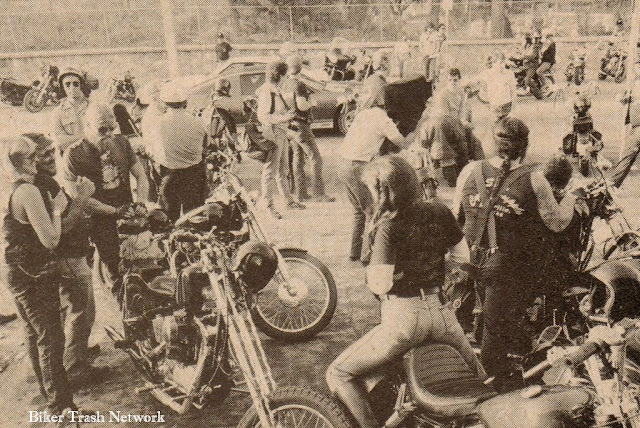 National Sergeant at Arms is among the highest rankings one can receive in a motorcycle club. Those in that position are often tasked with keeping members in line during meetings and activities, but also keeping their members safe from outside threats and law enforcement. 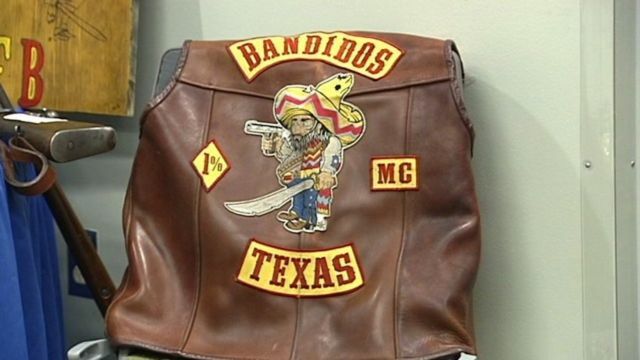 An investigation into the Bandidos criminal activity began in September 2014 when the Attorney General’s Office and the Metro Gang Task Force began surveillance of high-ranking members suspected of large-scale drug distribution. Investigators used a wire tap as part of the surveillance. The three Bandidos conspired to distribute narcotics and collect the proceeds from mid-level drug dealers, the news release said. They also imported several pounds of methamphetamine from California and attempted to send loaded firearms to Las Vegas through various shipping services, the attorney general said. They used banks and other money transfer services to launder their drug proceeds. 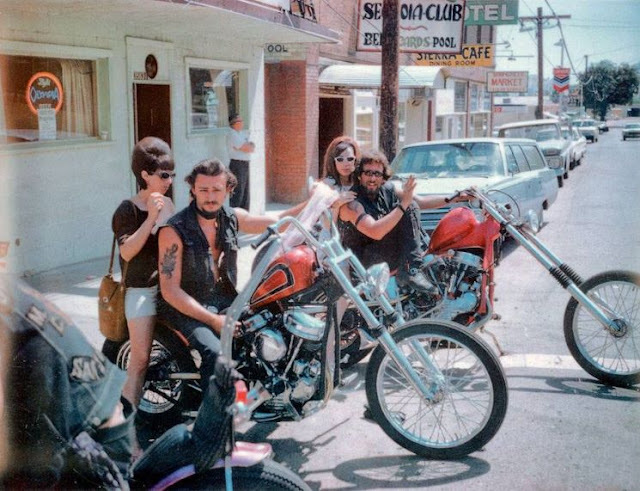 TAMPA, FL ( November 18, 2016) — Hillsborough County is banning employees from participating in certain biker clubs and other so called criminal groups after a firefighter associated with the Outlaws motorcycle club was accused of taking part in a bar fight in Key West. Involvement in these organizations "will not be tolerated as these affiliations are contrary to the mission of public service," Merrill wrote. "This directive is a reminder of our continuing obligation to represent all the citizens of Hillsborough County." The announcement comes after an arrest warrant was issued in Key West for Clinton Neal Walker, a Hillsborough County firefighter and suspected member of the Outlaws motorcycle club. He is accused of taking part in a September bar fight involving as many as 15 Outlaws members. Walker, 33, of Bradenton, is wanted on a misdemeanor battery charge. According to an arrest warrant, Walker and other Outlaws members beat up the manager and an employee at a downtown Key West bar. Walker was placed on paid administrative leave pending the outcome of an internal investigation. According to the warrant, Walker is a "confirmed active member" of the Outlaws, considered by authorities to be the state's dominant motorcycle club. It is strongest in South Florida but has chapters in Tampa and St. Petersburg. Hillsborough County officials have known for months that Walker and at least one other firefighter were suspected members of the Outlaws. 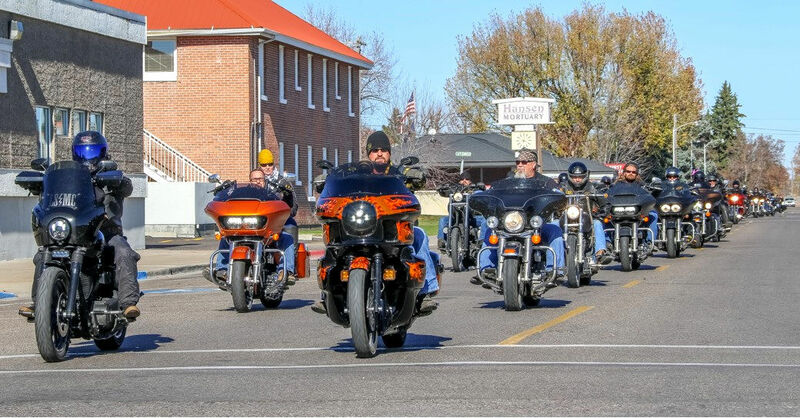 In August, Fire Rescue Chief Dennis Jones said the county was close to issuing a policy regarding association with biker groups but discussions were complicated by concerns over constitutional rights. Jones said Thursday those conversations were on hold while county officials wait to see if the Florida State Fire Marshal asks lawmakers in Tallahassee to address the issue. He said participation in biker gangs by fire and rescue personnel was a "broad issue that impacts fire departments across Florida." Apparently, the county decided not to wait on the state to act. A proposal to disqualify employment of firefighters with "gang affiliations or known terrorist group affiliations" was sent to the State Fire Marshal in July by the Florida Firefighters Employment Standards and Training Council. Existing disqualifications range from tobacco use to a felony conviction punishable by one year in prison. 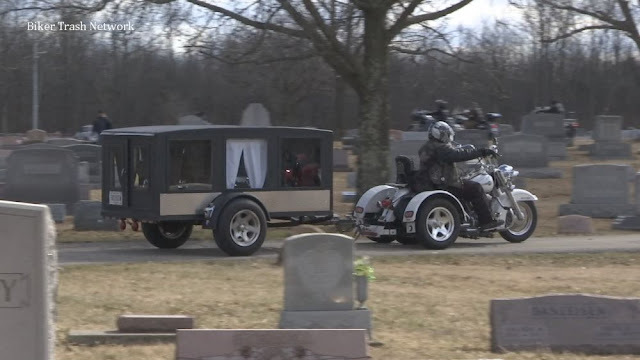 There are currently no formal plans to update the list of disqualifications to include participation in a motorcycle gang, said Joel Brown, a spokesman for the State Fire Marshall. But Brown acknowledged there is an "ongoing conversation." Whether that leads to statewide or local changes remains to be seen. "It's fair to say the division is welcome to any and all conversations that would reinforce the high level of integrity of fire service in the state of Florida," Brown said. "We want to be very active in the conversation to continue to ensure that." The issue is not isolated to Hillsborough. At least one firefighter in Pasco County is a member of the Pagans motorcycle club. Pasco County spokeswoman Tambrey Laine said there was no existing policy or legal basis to take action against the firefighter. The county is seeking guidance from the legislature, she said, and "is open to reviewing policies from other jurisdictions." 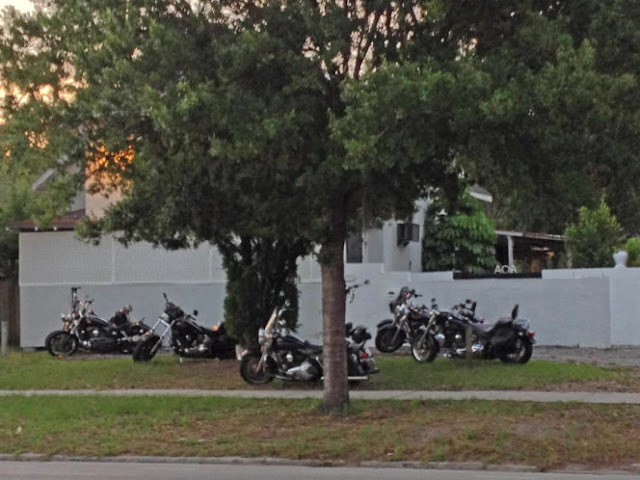 The city of St. Petersburg and Pinellas County do not prohibit employees from participating in motorcycle clubs. "However, should the need ever arise, we would certainly be open to discussing a human resources policy change to address it," said Benjamin Kirby, a spokesman for St. Petersburg Mayor Rick Kriseman. 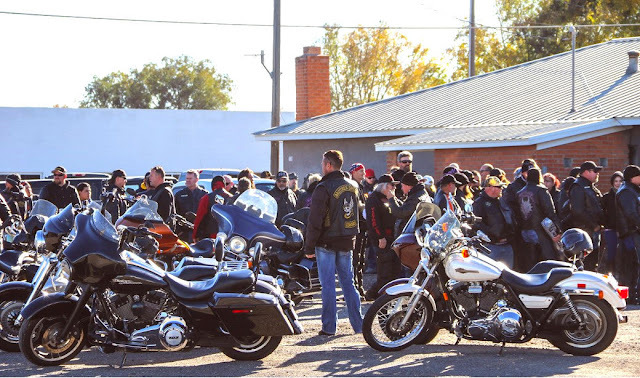 WACO, TX ( November 18, 2016) - The two Motorcycle Clubs involved in the Twin Peaks shooting a year and a half ago met again last night at the Harley Davidson store in Waco. Police were called to the location on South Jack Kultgen Expressway by the store's manager around 8 p.m. Thursday. 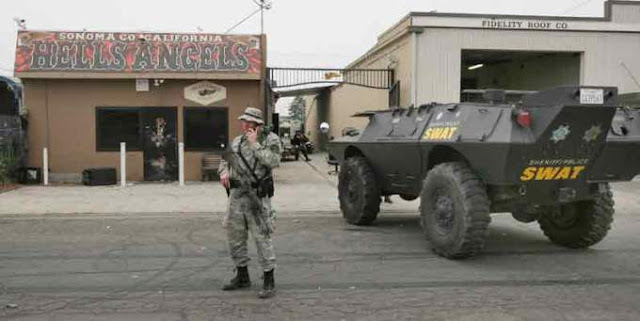 This was the first time the Bandidos MC and the Cossacks MC have been seen publicly in the same place since the deadly massacre where law enforcement opened fired on the bikers at the Twin Peaks restaurant. A local news reporter spoke with police and they said there were certainly tense moments for store managers and witnesses on the scene. According to police however, the two groups left the store without any incidents. Witnesses say the incident was uneventful. 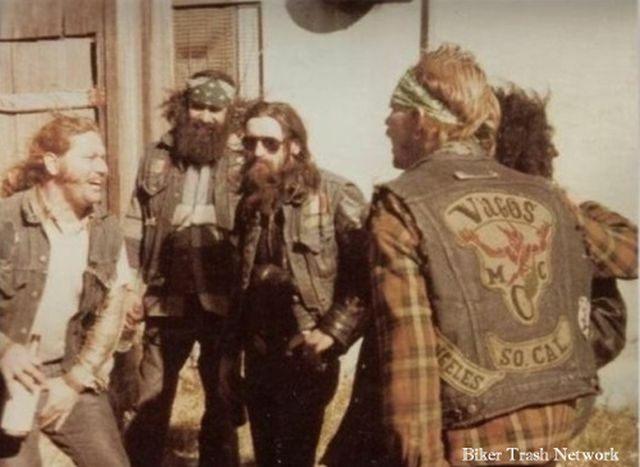 The Bandidos MC and Cossacks MC have had a historically bitter relationship. Their past includes a 2013 fight that led to a stabbing outside the Logan's Roadhouse in Abilene. They were also involved in a bar fight in Fort Worth in 2014. BURLEY, ID ( November 13, 2016) — Brother Speed South Central Chapter motorcycle club rattled the Magic Valley for a good cause last week as nearly 200 bikes turned out for the Black and Gold South Central Toy Run raising $20,000. The motorcycle club donation is the largest annual donation of toys the council receives. “It is our mainstay for Christmas presents,” she said. There is no reason for any Mini-Cassia child to go without toys on Christmas, said Brother Speed chapter president Gary Pawson. “We’ve been stocking the Christmas Council for years,” Pawson said. A shopping date is set in December for club members to go to Wal-Mart, where they get a 10 percent discount on the toys purchased. The toys are then donated to the Mini-Cassia Christmas Council. Wal-Mart registers lock up when a 1,000 item limit is reached. “We hit that limit three times last year,” Pawson said. After the 10 percent discount is knocked off, the group buys more toys with the amount saved. It takes the members two hours just to check out at two registers during the shopping spree. Pawson said about 300 people from around Idaho, Washington, Utah and California showed up to participate in the charity event. This is the 20th year for the toy run, which was spearheaded by Pawson and some of his friends before he was a Brother Speed member. “We were just sitting around having a beer and most of us had grown up n Heyburn in area where a lot of kids don’t get toys for Christmas,” Pawson said. The first event took two weeks to plan and was held on Dec. 18 in 18 degree weather, he said. 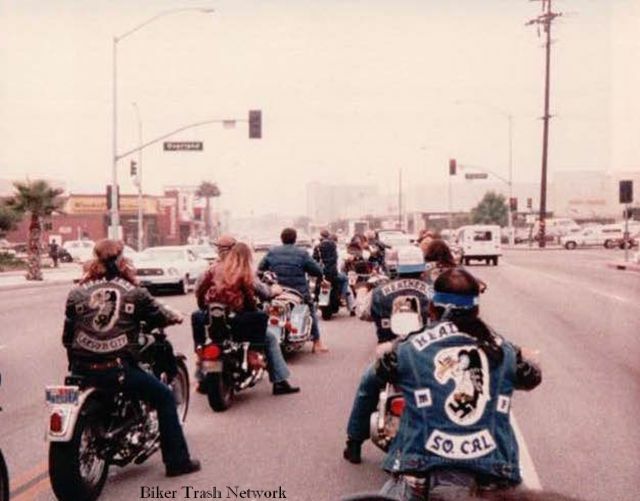 They raised $2,500 the first year after 25 motorcycles came out to participate. During the first five or six years of the event, they distributed the toys to churches themselves before teaming up with the Christmas Council. The Brother Speed chapter took the event over 17 years ago, Pawson said. Now, the club starts planning for the event at the first of the year. The event raises money through donations, entrance fees and from shirt sales. SOUTHPORT, QUEENSLAND, AUSTRALIA (November 3, 2016) The elite Taskforce Maxima police arrested a patched member of the Hells Angels Motorcycle Club after a traffic intercept on the Gold Coast Highway at Surfers Paradise. 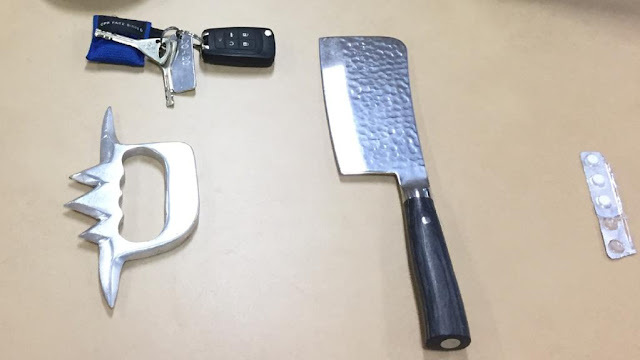 During the search of a black BMW, the officers found three knives including one a with Hells Angels insignia, a belt buckle with a Hells Angels insignia, a spiked knuckle buster and a meat cleaver. 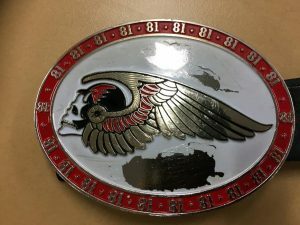 Police also said during the search, they found and confiscated a belt and belt buckle with a Hells Angels insignia on the buckle. The 41-year-old was charged at the Southport Magistrates Court with one count each of possess knife in a public place, possession of a category M weapon and possession of a dangerous drug. 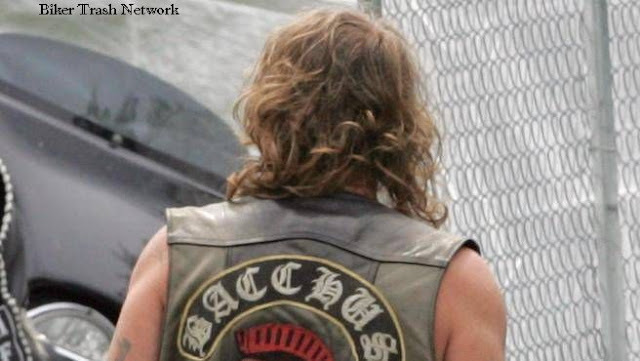 A Nova Scotia judge has allowed prosecutors to employ a little-used type of evidence called "Extrinsic Evidence" in an attempt to prove the Bacchus Motorcycle Club is a criminal organization. NOVA SCOTIA, CA (November 1, 2016) Normally, extrinsic evidence — something that shows similar misconduct — isn’t allowed at trial. But, in a decision released Monday, Nova Scotia Supreme Court Justice Peter Rosinski ruled it will be permitted in the case against Duayne Jamie Howe, Patrick Michael James and David John Pearce, three alleged Bacchus members facing charges of uttering threats and intimidation to protect their territory. “I conclude that the probative value of the proposed evidence outweighs any prejudicial effect on the fair trial rights of Mr. James, and that this is also true in relation to Mssrs. Howe and Pearce,” Rosinski said. Police arrested James, and Pearce, both of Dartmouth, and Howe, of Grand Desert, in the fall of 2012. All three are slated to go to trial in the next few months. The charges involve an alleged victim, named only as R.M., who is described as “a simple motorcycle enthusiast,” in court documents, who wanted to set up a recreational motorcycle club in Halifax County. R.M. “decided that the club should have its own distinctive name, and logo,” to sew on members’ jackets, as well as a patch indicating they were from Nova Scotia, said Rosinski’s decision. R.M. 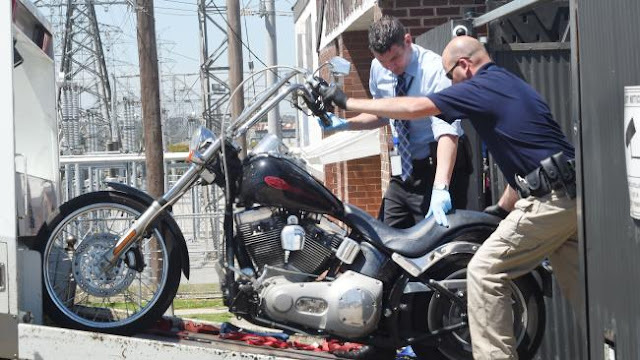 “had ongoing communications and personal meetings with Patrick James, who held himself out as the representative of the Bacchus Motorcycle Club for such purposes,” said the judge’s decision. At some point in the summer of 2012, James approved R.M.’s modified proposal for a single patch that said “The Brotherhood,” associated with a motorcycle club of that name from Montreal. In late August, R.M. and his friends traveled to Montréal for a short vacation. A “very upset” James allegedly visited R.M. at his office the next day, wearing his leather Bacchus vest. “‘What the f*** were you thinking? Do you think you could get away with something like that? I f***ing told you that you are not having a f***ing patch,” James allegedly told R.M. R.M. 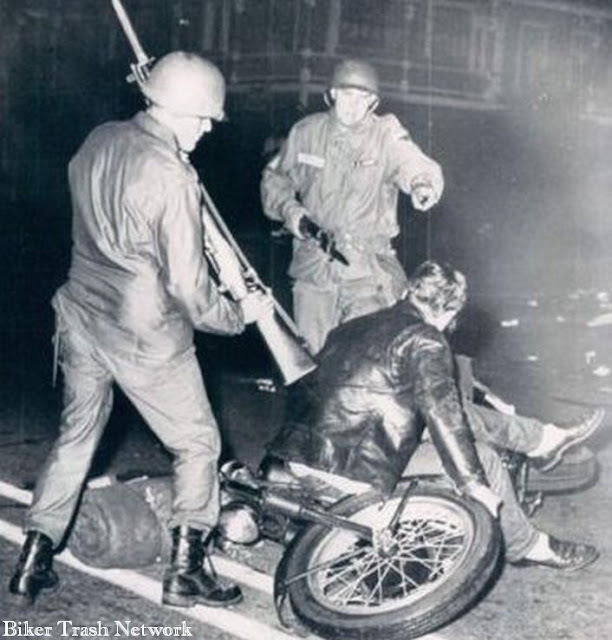 interjected: “You told me no three-piece — you told me that the Brotherhood name was OK."
James offered R.M. a way to appease Bacchus. He was to take photos of their clothing and patches being cut up and email them to James, and let the Montreal club know it had no chapter in Halifax. “R.M. 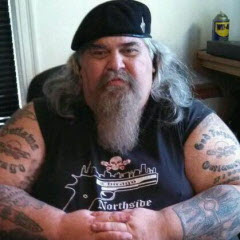 had discussions with his own club members and they decided they should have their cut-to-pieces vests/patches personally turned over to Patrick James; another member of R.M.’s club delivered the remnants of their vests to Mr. James who was in the company of four or five members of the Darksiders Motorcycle Club,” say court documents. While that appeared to appease Bacchus members, two weeks later R.M. ran into six of them at a charity event wearing their regalia. R.M., his wife and friends were frightened by these events, said Monday’s decision. The next day, Sept. 15, 2012, R.M. called police. Within days of his giving a statement, police arrested James, Pearce, and Howe, and executed search warrants on the Bacchus clubhouse on Hogan Road in Nine Mile River and homes on Renfrew Road and Elmwood Road in Dartmouth and Dyke Road in Grand Desert. Investigators allegedly seized vests bearing Bacchus identification, as well as marijuana, magic mushrooms, computers and mobile phones. 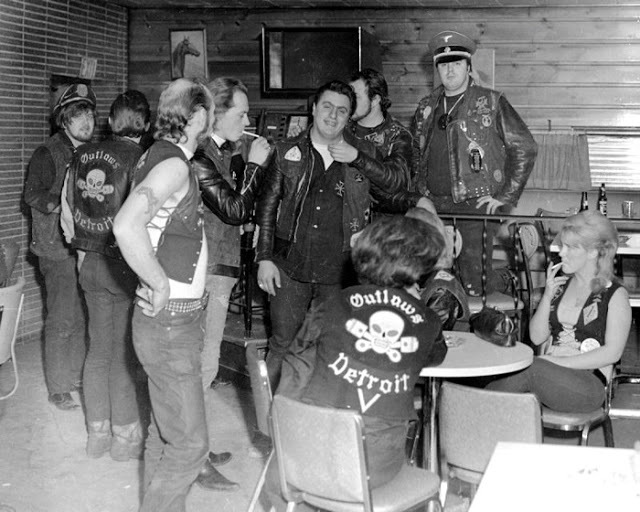 At trial, the Crown is expected to try and “establish that the Bacchus Motorcycle Club is a criminal organization, and was so at the time of these offences, and that Mssrs. Howe, Pearce and James were then acting for the organization,” the judge said. Prosecutors hope to use the evidence of another unnamed witness, dubbed S.H. in the decision released Monday, that they expect to be relevant in the case against all three men. S.H. 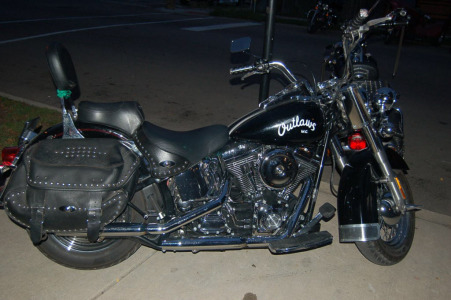 testified that he bought a Harley Davidson in 2009, but was not interested in joining a recreational motorcycle club, despite repeated and “persistent” requests. He eventually made up a fictitious patch for a fictitious club called the Wolverines and put it on his vest along with the words Nova Scotia so people would stop bothering him. “He had a picture taken from the back, while wearing his unique motorcycle jacket with the three-piece patch on the back. He made it his profile picture on his Facebook page,” say court documents. 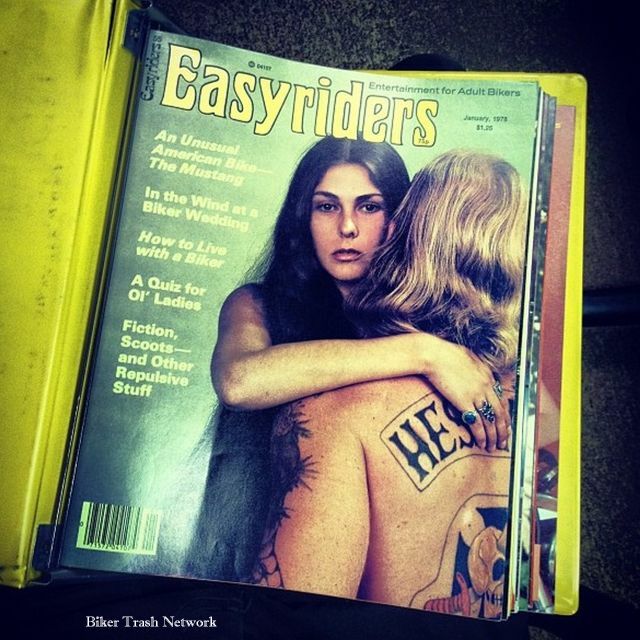 In December of 2011, “a couple of members of the Darksiders [motorcycle club]” told S.H. he couldn’t wear that patch. Around the end of June 2012, S.H. received a private Facebook message from James. James allegedly carried on a written exchange with S.H. where he eventually agreed not to wear the patches. “Succinctly put, the Crown alleges that during January–September 2012, Mr. James’s conduct in relation to both R.M. and S.H. 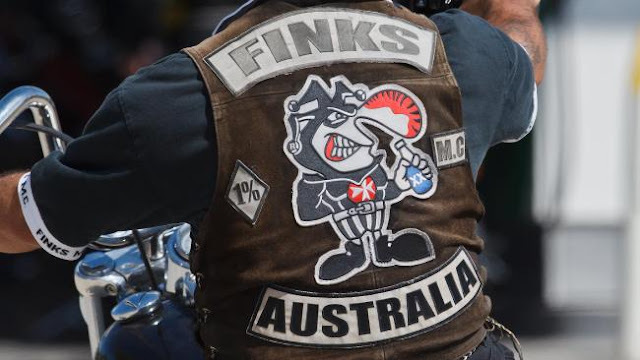 reveals that he intervened in the lives of both these recreational motorcycle enthusiasts to ensure that they did not wear or display a ‘three patch’ combination regarding their real or made-up ‘motorcycle clubs,’” said the judge. “The Crown will argue that his conduct in relation to R.M. was criminal. They say that his conduct in relation to S.H. 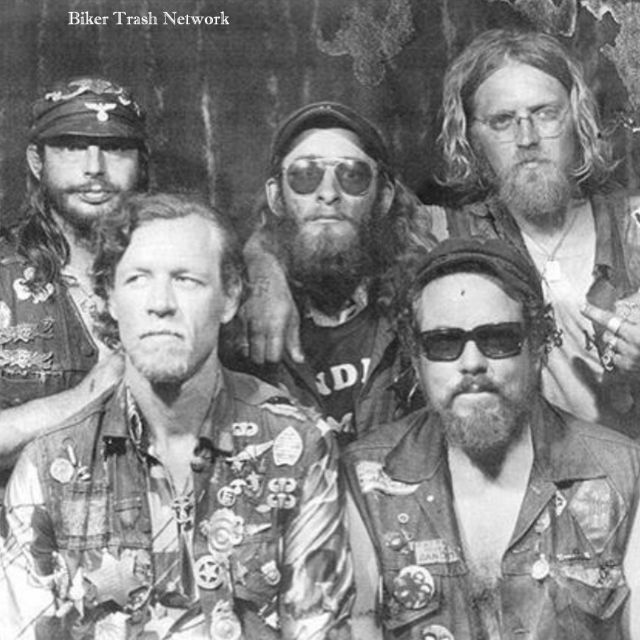 is relevant, material and should be admissible in this trial involving R.M., because it provides direct or indirect proof of ‘the essential elements of establishing that the Bacchus Motorcycle Club is a criminal organization … and that the offences in question were committed for the benefit of, at the direction of, or in association with that criminal organization.’ "